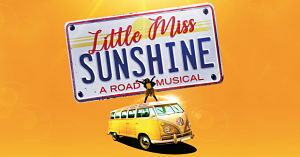 Casting has been announced for the London premiere of the musical adaptation of the off-Broadway hit musical Little Miss Sunshine comedy drama which runs at the Arcola Theatre in London from 21st March for seven weeks before embarking on a UK tour in May. 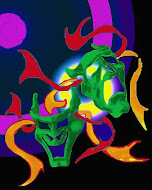 Casting news for the tour to follow shortly. It will star Laura Pitt-Pulford (Flowers for Mrs Harris) as Sheryl, the matriarch of the eccentric Hoover family, Gary Wilmot (Snow White at The Palladium) as Grandpa (the role that won Alan Arkin an Academy award), Gabriel Vick (Promises) as Sheryl's husband Richard, Paul Keating (Kenny Morgan) as Sheryl's brother Frank and Sev Keoshgerian (The Musical of Musicals (The Musical)) as Sheryl's son Dwayne. The role of Olive will be shared by Sophie Hartley Booth, Evie Gibson and Lily Mae Denman. Ian Carlyle will play Larry/Buddy, Imelda Warren-Green will play Linda/Miss California and Matthew McDonald will play Joshua Rose/Kirby. Completing the cast are the 'Mean Girls' who will be performed by Chloe Raphael, Ava Hurley, Ellicia Simondwood, Elodie Salmon, Summer Pelley, Ava Masters, Josselyn Ospina Escobar, Saffia Richards and Yvie Bent.